Well firstly, a lot of things have happened since my last post, I’ll try to fit most of it in! My mermaid shoot went very well and I had an amazing assistant, Robyn from my class! The wind and rain was so strong, the lights had to be covered by waterproof sheets and they very nearly blew away! Here is one of the shots! I also had a LOT of problems with my Analogue project, what with shooting about 7 films overall and only 2 coming out ! 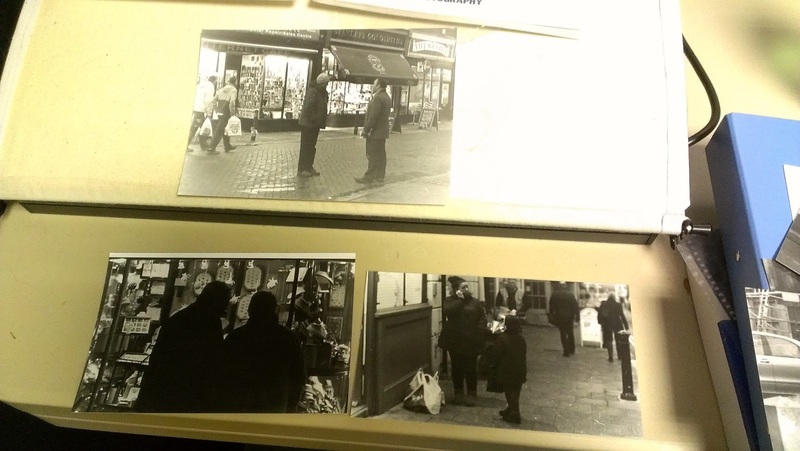 I finally got some images for my project, and when working late one night I ruined one of them. Luckily I manage to make it right or else I’d be off to uni much earlier than I would have wanted. I have also just finished my essay which is due in about a week – yay! 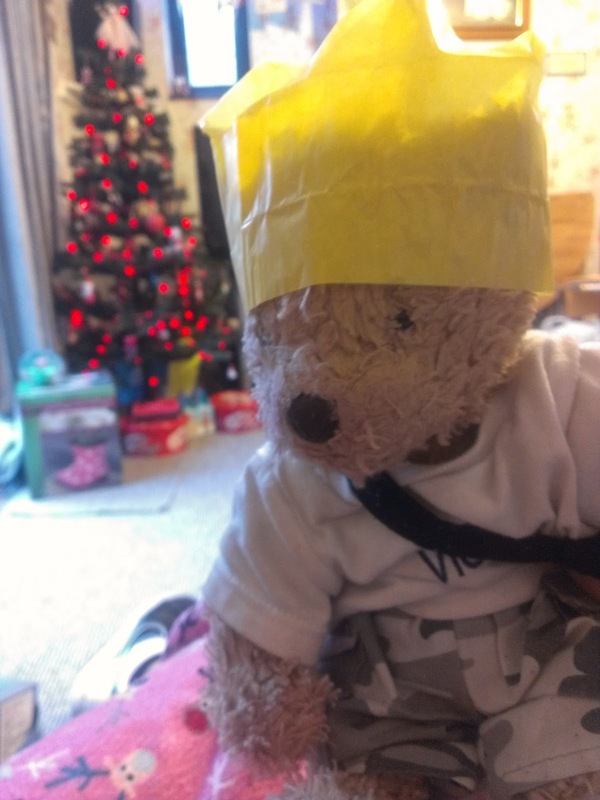 Then I left for Christmas break and overall I had a lovely Christmas and got some great gifts! I also had a brilliant New Years Eve with my friends from home which was priceless for me and made me realise you don’t always get enough moments in life to just enjoy yourself! I alssssssssssssoooooooooooo did some more work 😉 and went to The Photographers Gallery in London. 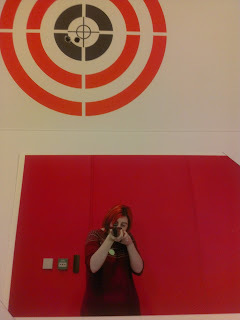 I paid to shoot the target and managed to hit it which triggered a camera and took a photo of me – such fun! 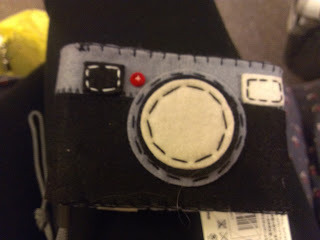 Look at my cute little camera case I got from the National Gallery Gift Shop! Well that’s all for now, I will post when I am back at uni! My Missy Mint Camera Bag – love of my life! Photo gifts, rate or hate?